She doesn’t dress down often, but when she does, she kills it. 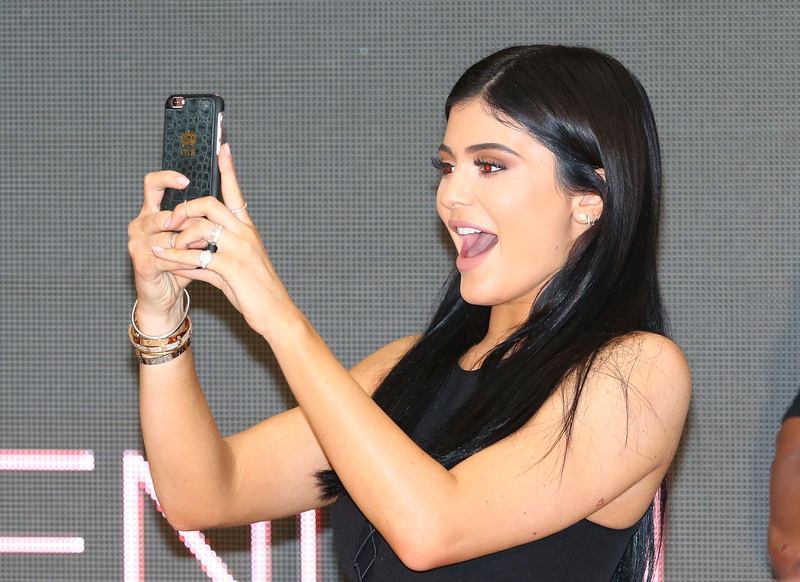 Kylie Jenner wore striped pajamas and a t-shirt in her latest Instagram post, because she likes to just hang out in her pjs with her friends sometimes, too, you guys. She’s a little more like the rest of us than we thought — that is, unless this is, like, Moschino loungewear. Let’s just pretend its not, OK? Jenner’s been known to rock some sweat pants or a matching Adidas set from time to time, but I don’t know that she’s ever posed in her pjs before. Except for the one time where pajamas were the theme, of course. But, it’s nice to get a glimpse of Jenner at her most casual. It certainly makes me feel better about the fact that I’m totally still in my pajamas right now. Hey — no judgment. If she can do it, then so can I. Check out this rare glimpse of Jenner at her most comfortable and then shop similar striped looks so that you can get your lounging time in, too. Days spent wearing the same clothes you slept in are the best days, and Jenner obviously agrees. If she approves of staying in sleepwear — then who am I to argue, you know? If you're not following in Jenner's footsteps, then what are you doing with your life? Wear gray stripes just like Jenner to really feel good about your life. Go all in with this striped matching set. Wear these bottoms with a t-shirt to have a very Jenner vibe. Feel oh-so comfy in this soft knit set. Flannel pajamas will keep you cozy this winter. Fun colors like these make it even easier to stay in your pjs all day. I mean, come on. Everyone loves a onesie. Here's to never getting dressed!